Mary Dixon Horse Riding Blog - Adventure Horse Riding in NYS: Consistency is the Key for Your Little Darling ! Consistency is the Key for Your Little Darling ! When it comes to working with horses, consistency is the key ... " Consistency is your greatest ally and inconsistency is your worst enemy". This is one of the best lessons I have ever learned and it makes a HUGE difference in the interaction between you and your little darling. Why? Because he is not confused and "gets it" - you gave him the real opportunity to understanding a behavior that you want from him. If you expect him to always drop his head for haltering then that is what you need toalways insist on. If you allow him sometimes get away with raising his head in the air and you still halter him and then other times you expect the head to be lowered, you are inconsistent and confusing to your horse. It really does mess him up because he then thinks both actions are just fine. If you sometimes let him rush out of his stall and other times require him to wait for you. 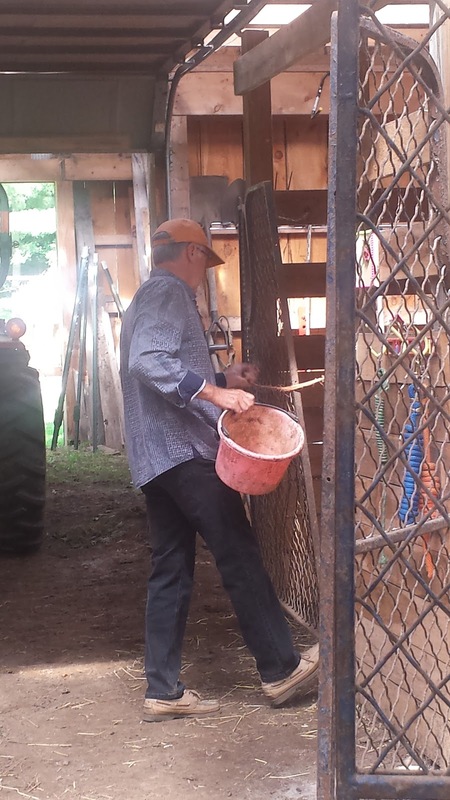 If you allow him to jig back to the barn and other times require that he quietly walks back. 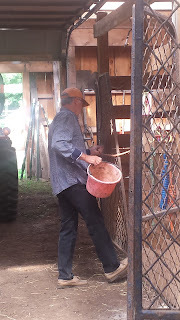 If you allow him to stomp his feet for feeding and you feed him and other times you insist that he is mannerly or allow him to head dive in the feed bucket and later don't allow it. If you allow him to move when you get up on the saddle and climb up there anyways and other times you require him to stand still. When you ask your horse to stop and allow him to leak forward or move out on his own instead of doing what you have asked him to do. You are always training your horse and too often it is easy to forget that. They are aware of nearly everything you do when you are around them. So, to help your little darling always be good and well-mannered, be aware of what you are doing and BE CONSISTENT.